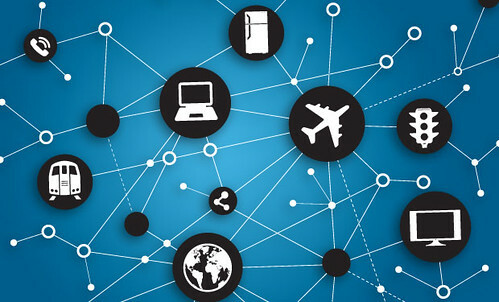 So one of the latest fads is IoT or the Internet of things phenomena which has been talked about for a while (especially since the discussion of IPv6 started), IoT is connecting physical items to the Internet and giving them some kind of IP (be in NAT or a proper IPv6 address). This enabled you to control your lights (on/off & dimming) via your phone, or anything else that can be connected (turn on your kettle, check your fridge temperature, warm up your oven etc). The possibilities are basically endless. The issues IoT brings is of course a whole new set of security concerns, if everything is Internet connected, it’s also prone to get hacked, spammed, DDoSed and generally fscked up. Imagine if your house alarm is Internet savvy and someone DDoSed the control box, so you can’t get into your own house, unless you pay some kind of ransom. These things are going to happen. Those convinced that the emerging Internet of Things (IoT) will become a hackers’ playground were given more grist for their mill with news on Friday that security researchers have discovered a weakness in Wi-Fi/mesh networked lightbulbs. Researchers at Context Information Security discovered that LED light bulbs from manufacturer LIFX – which are designed to be controlled from a smartphone – have security weaknesses. By gaining access to the master bulb, Context was able to control all connected lightbulbs and expose user network configurations. Thankfully IoT is a fairly new thing so not many malicious hackers are looking into it, plus for now – there’s no real monetary value when it comes to hacking into a lightbulb. Rather annoying yes? Business critical? No. That is of course, until the point where your Lightbulb is part of your corporate LAN and hacking the lightbulb gives you access to the internal network..then it becomes a whole different story. Context’s find is part of its ongoing research into the security of the Internet of Things (IoT) – which includes parking meters, internet-enabled fridges and much more besides. Many of these components are being put together with little thought for basic security precautions, according to Context. So yah, as IoT becomes more of a ‘thing’ and adoption goes up, Internet of Things Security is going to become a major issue and it could well become the next hackers playground. Fortunately this case is more of a research/knowledge share than actually something exposing risk or a published zero-day exploit against an IoT device. I would imagine in the coming year or so we’ll see a lot more similar incidents.